CONGRATULATIONS TO Woburn! 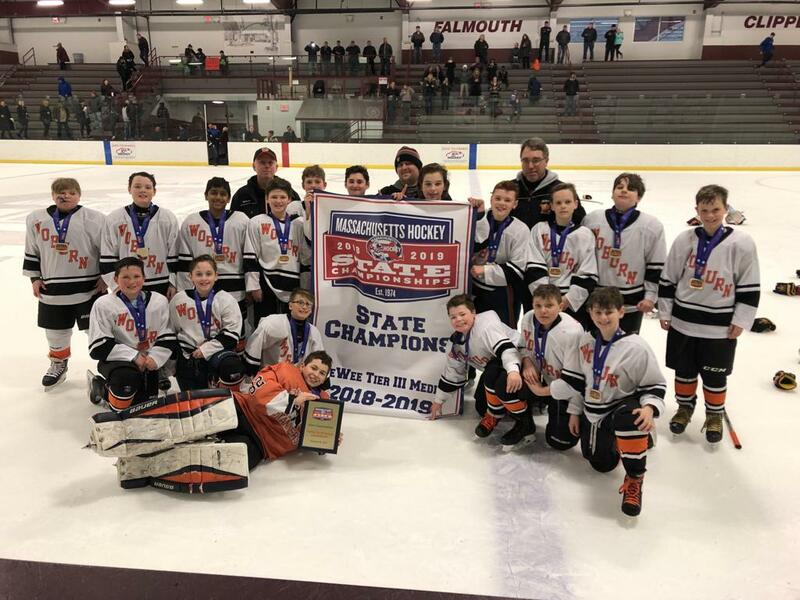 THEY ARE THE 2018-19 12U Pee Wee TIER III Medium MASSACHUSETTS HOCKEY STATE CHAMPIONS! Woburn wins 6-1 against Dorchester.